It’s pretty apparent that I bake a lot. 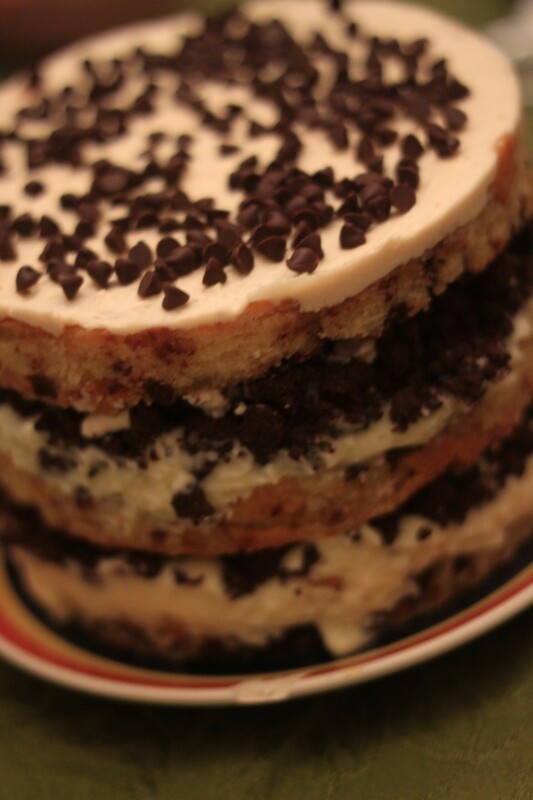 I make cookies, cakes, cupcakes, quick breads, anything that will encourage a sweet tooth. So I pretty much always keep an eye out for the next awesome baking book. 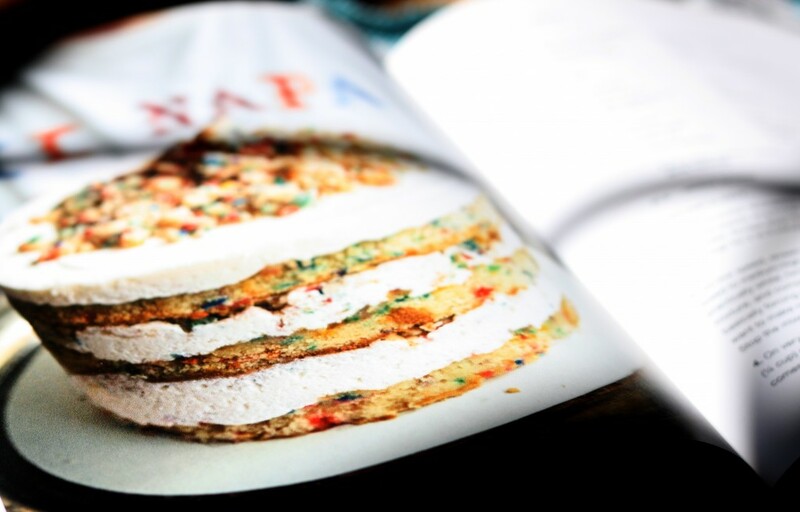 I’m always looking for a book of fail-safe recipes that will offer consistent and reliable baked goods that I will love, because here’s the thing – there are a LOT of cookbooks out there, each more complicated then the last and some not offering good or reliable information. 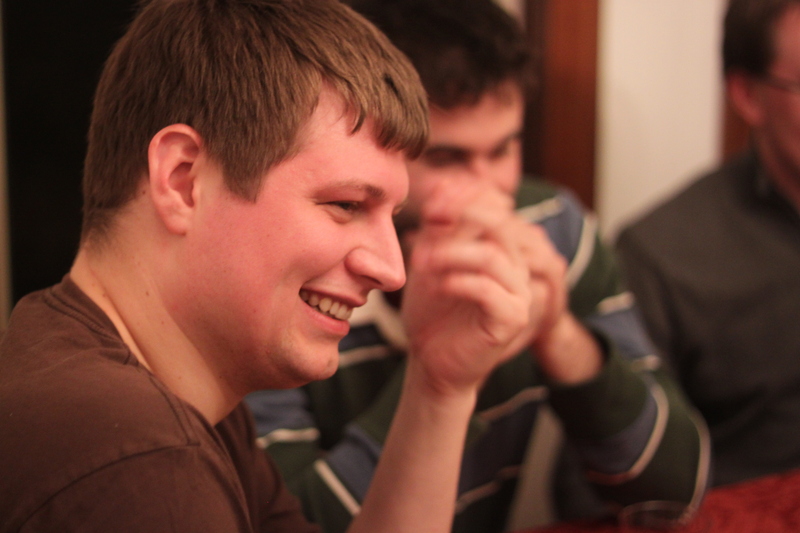 That’s one of the reasons I started this series on the blog. 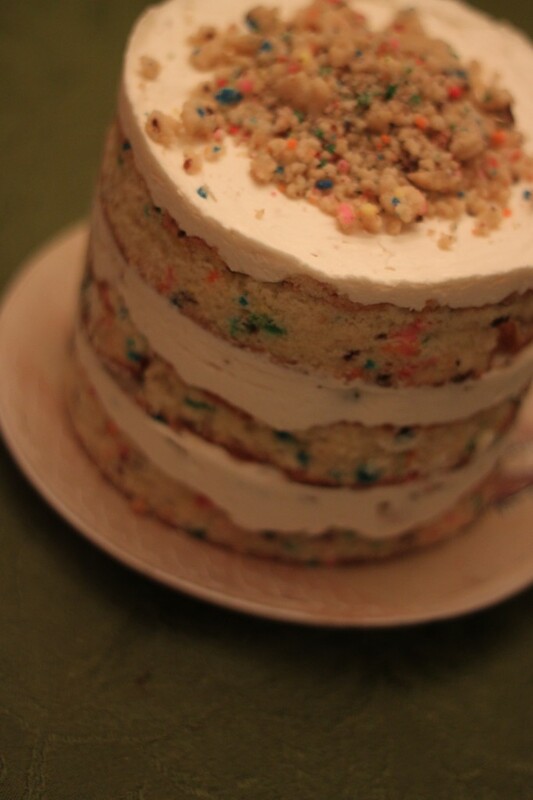 I want my readers to know what I bake from because it’s what I find reliable consistently. I never give you a book I’ve only cooked from once, I must have cooked a couple of things from the book and liked them. There’s no point in sharing a recipe I’m not in love with and there’s ABSOLUTELY no point in telling my readers to spend money on something without making sure it’s perfect. I feel this way about a lot of things – kitchen ware, cookbooks, electronics, I like consistency and reliability. 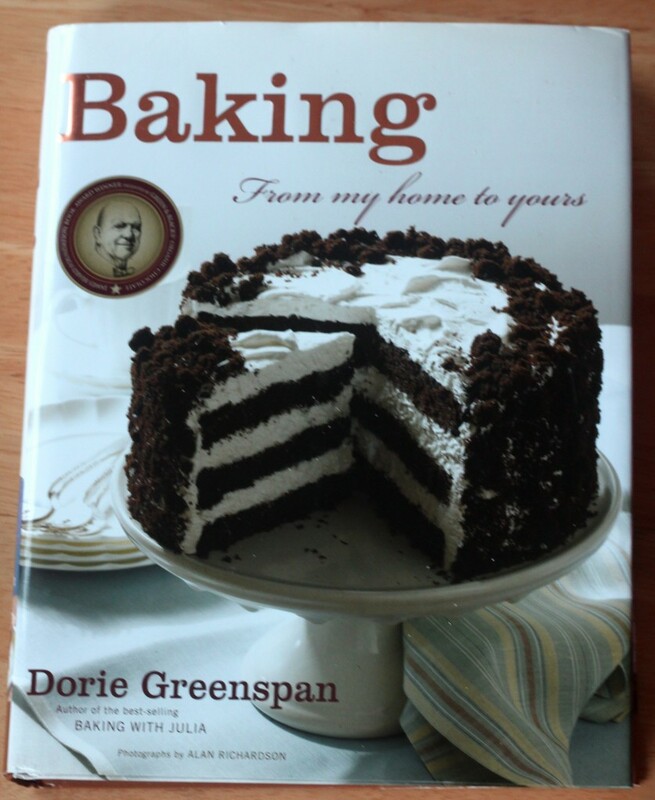 I like Dorie Greenspan. Every time I look for a new baking recipe I turn to Baking: From My Home to Yours, from cookies to cake to cheesecake, the girl owns her recipes. They are well tested and reliable, but not represented as practically perfect – because lets face it, none of us are. 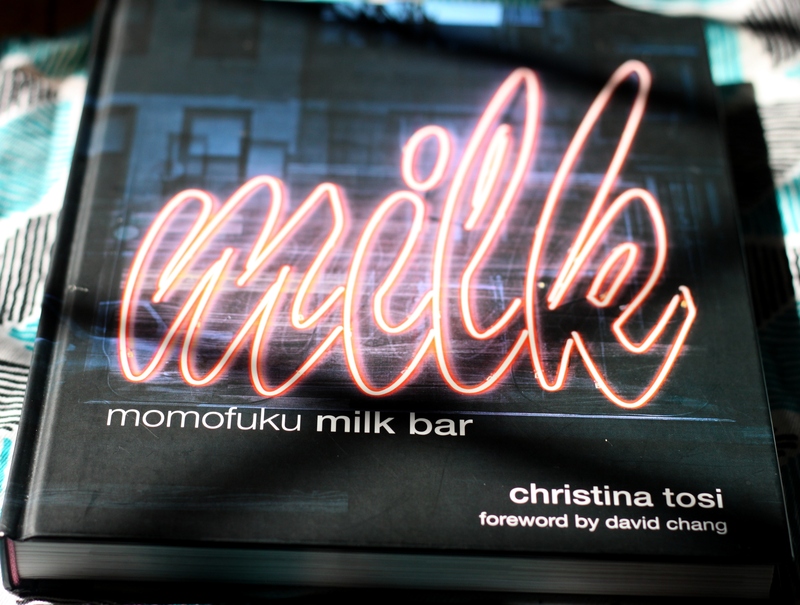 This book offers real recipes, and real variations that make sense. She doesn’t suggest you use fifty bowls for one cake or ask for weird, obscure ingredients that are hard to find, or worse, expensive. These are tested recipes for early morning baking and perfect birthday cakes. When I bake from this book it’s the cake portion of the black and white celebration cake, or the black and white banana loaf, or the basic cheesecake, or, well you get the idea. I can’t choose a favorite recipe because everything I’ve made from it has been successful, and I’ve never received a complaint on something I made. Is there a better recommendation than that? When I was little we didn’t have many cookbooks – we made a lot of family recipes and cooked from books that were more familiar to us than the furniture, they were books that had been in the family for a long time. 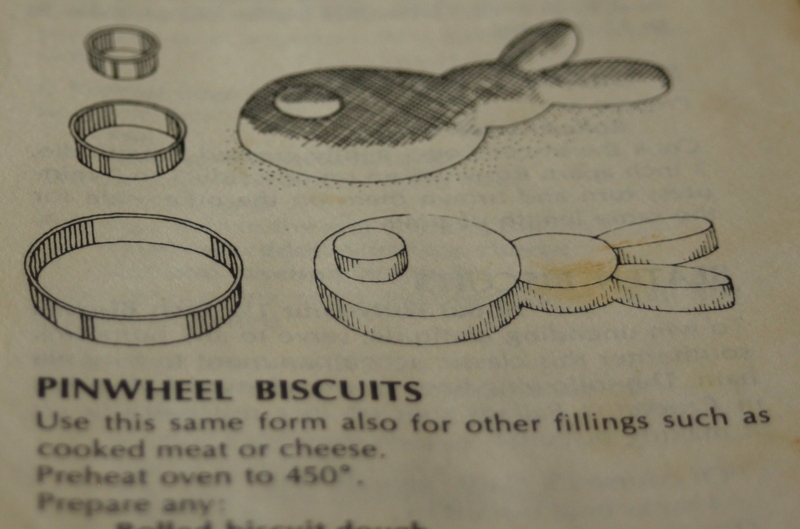 One of those books we reached for most frequently was The Joy of Cooking. 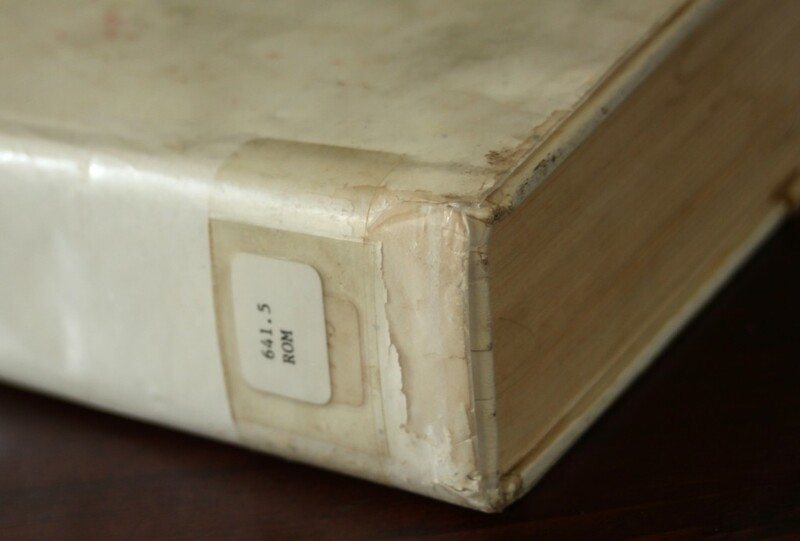 I don’t remember which volume it was that we owned but I remember the weight of it in my hands when I opened it and the satisfying crinkle of the dust jacket whenever the book was moved. My copy of Joy (as I playfully refer to it) is a library reject that my mom picked up at a library sale. 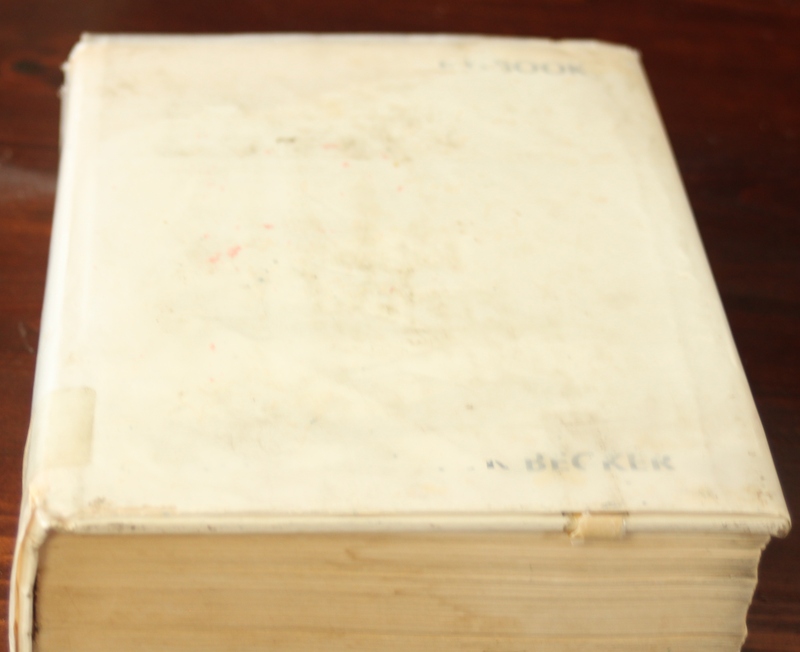 The cover lacks any glossy coating and any time you put the book down it shoots up a little pile of white dust. I call this character building, others refer to it as messy, but it’s my Joy. Joy is now and always will be one of my favorite cookbooks because it never fails; from the basics like a perfectly flaky dinner biscuit to the more complicated things -chocolate truffle cream frosting and almond crusted pork loin Joy has been in my life. Not only is this a cookbook but it’s a reference book – with useful information like how to create your own spice mixes (I made Garam Masala based on the suggestions here and it was delicious) to the ratios for homemade baking powder or the conversion of eggs to cups it’s all here in one easy to handle book. 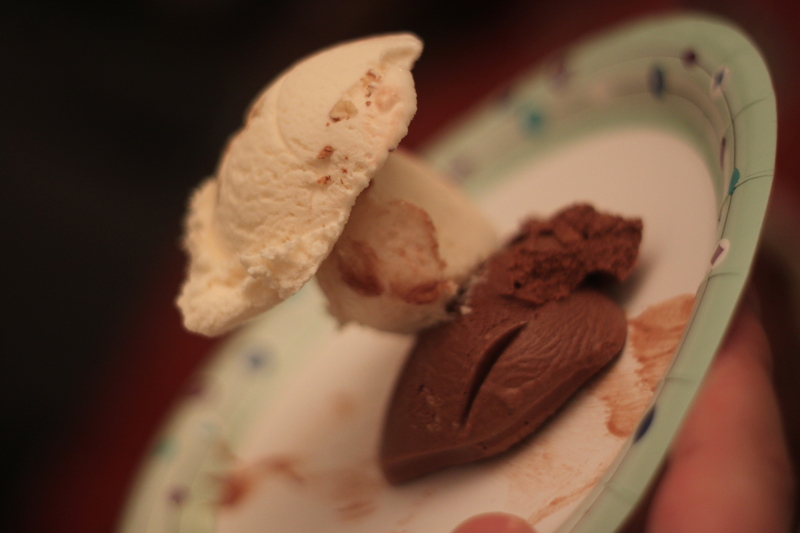 My favorite recipes are Spanikopita, Chocolate Truffle Cream Frosting, and Almond Crusted Pork Loin. Be warned though – Joy is constantly going through new revisions and printings so my copy may not be the same copy you get and thus may not have the same recipes. 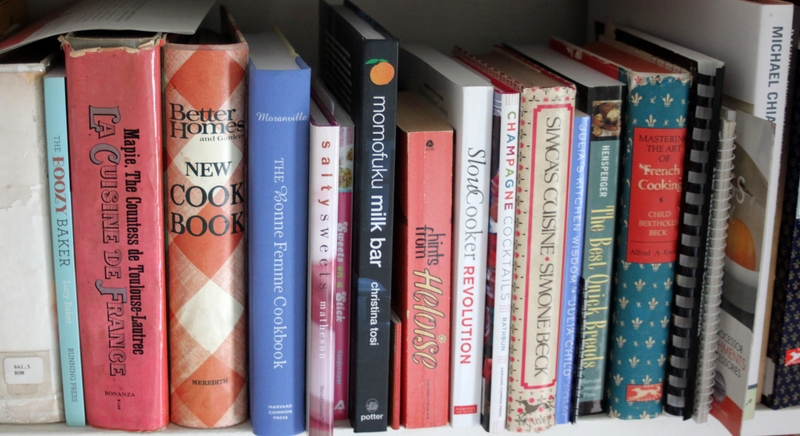 Recently I’ve noticed more and more people are asking me for cookbook recommendations because I bake and cook a lot. Which is true. I always have a recommendation – so my lovely and wonderful Big Sister asked me to start posting quick reviews here. I’m starting with Julia because she is one of my personal heroes and she is the reason that I challenge myself in the kitchen. I’m starting with Mastering the Art of French Cooking because it is THE cookbook to have in your kitchen if you are only going to have one or two. You can learn everything from how to coddle an egg to what happens when you break a hollandaise from this illuminating book. 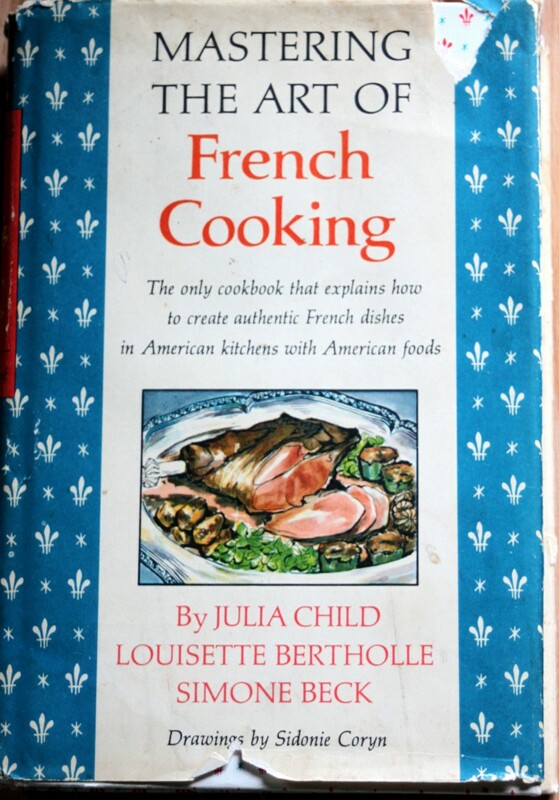 Though mostly credited to Julia Child it was also assisted along be Simone Beck and Louisette Bertholle (though if you read My Life in France you can see just how much of the book Louisette actually wrote). I have been cooking from this book for a very long time (My mom owned a copy and I remember flipping through it when I thought the whole book large) and always find it useful – from key illustrations in things like trussing a chicken to well written instructions this book is a great glimpse into the world of French food. 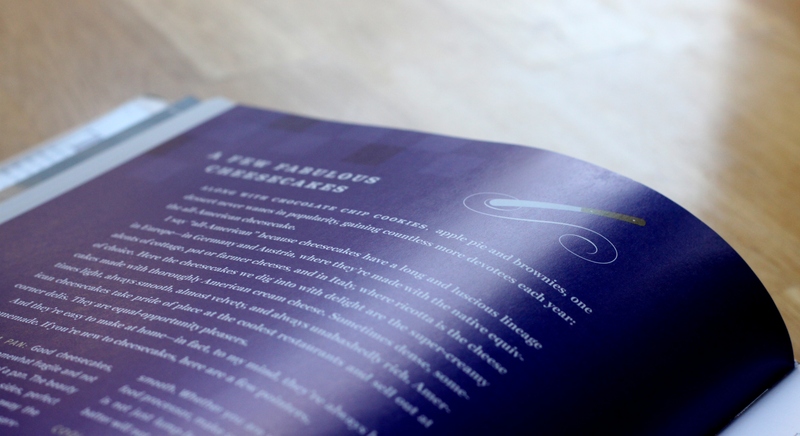 Even if you’re not a cook you should read it for gorgeous illustrations and engaging writing. It is a book that talks to you like a friend sharing their favorite recipe. Everything is presented in an unpretentious and thoughtful way that is easily digestible and logically laid-out. A must read for any food aficionado and a must have for any home cook, because is their anything more magical than boeuf bourguignon on a cold winter night? 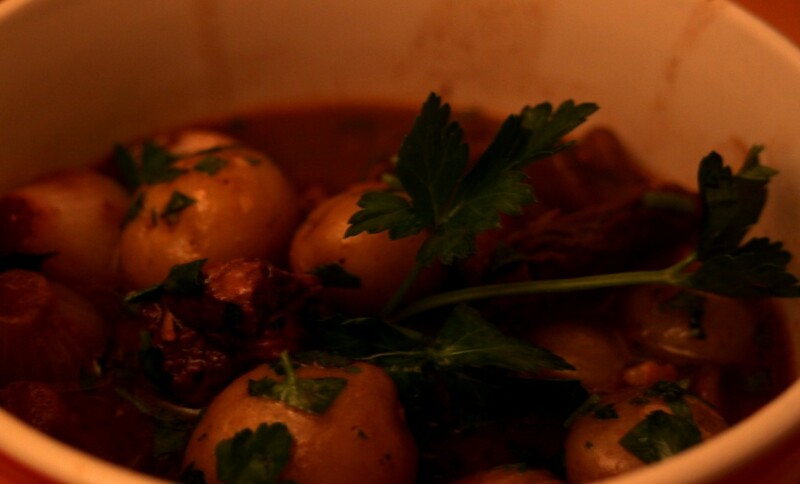 My favorite recipes from Mastering the Art of French Cooking are Boeuf Bourguignon, Mayonnaise, Hollandaise, and Crepes.